Search Engines are tasked with the burden of delivering the best possible answers to their user’s questions. Marketers have the difficult task of convincing search engines that they have those answers. This forum hopes to draw answers from the collective Webnerdian wisdom to help other Webnerdians rise to become SEO GEEKS. A resounding YES for backlinks - just don't get lured into the bucks for backlink traps that many companies are offering. Rather spend that money recruiting talent. Google’s John Mueller’s take on backlinks is - don’t do it, however while the Google search engine algorithm sees value in your page based on the value seen by other sites – you may want to avoid, in part this advise. Just do it properly. While Google have worked hard within there algorithm to ensure that no one factor dominates over all other in quality checking a website page, the fact remains according to a study that backlinks contribute as much as 30% of the pages overall page ranking. Backlinks like all things SEO need to be approached on a basis of logic. It is logical that the link from your site to another and back again is either relevant or at the very least offers synergy. To create a synergistic backlink - a good rule of thumb is creating a link for any company that you - in the context of your business - have been asked to recommend. At Webnerd, by way of example, we often get asked to recommend gadgets such as drones or the best Tablet or Cell phone. Who better to ask than a nerd right. It stands to reason therefore that a good synergy for our company would be as an example DJI and or Apple. So how do you go about getting companies to link articles on your website? One way is to negotiate. In the example above Webnerd would open communication with the marketing team from Apple and offer to create a link to them and request a reciprocal link back. Apple's dot com page has a Google page Rank of 9 (10 being the highest) meaning the backlink will hold significant value and Google in turn will, in theory, increase the rank of the Webnerd page. This is not always easy as in the example above the benefits for Webnerd outweigh those of Apple. Additionally it is difficult for a brand like Apple to be “endorsing individual brands” the solution is to provide Apple with opportunities that make it easy for them to make the decision. Webnerd could offer Apple’s linux based hosting solution known as MAMP and request a link from apple to this solution. Another approach to creating backlinks and possibly the most effective method is to create high value content. Once this has been done simply market its existence to various publishers who may on considering the value of the content create links to it. This organic growth method is favoured by all. Clearly you have noticed a pattern here. Yes, it does come down to the value of the content. It is possible to post junk and start ranking but with Google’s Penguin algorithm an algorithm specifically searching for junk or spamdexing the penalties for such activities are ranking decreases to blocking by Google. This is where what I said before about spending the money on talent becomes more relevant. There are many sites offering freelancers, many with years of experience in writing articles as well as designers able to design eye-catching infograhics. This content is in hot demand by users and therefore also search engines. Select a number of phrases and keywords that you feel best represent your products and give them to these talented individuals who will convert the information into professionally written eye-catching articles that should gain ranking and backlink growth will increase organically. 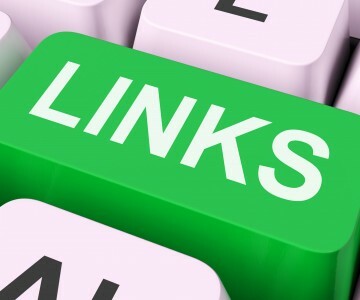 I have heard that bad links can lead to negative SEO - so how does one get rid of these?